Cryptocurrency is no longer the distant negotiating territories of tech-insiders. 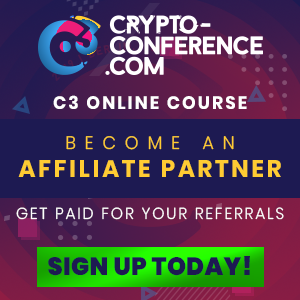 The crypto world is giving substantial investment opportunities to genuine people. Like any expanding industry, the crypto world is stuffed with its own stars and personalities. However, because it’s a new and speculative cosmos, it can be confusing to judge who’s really on top. 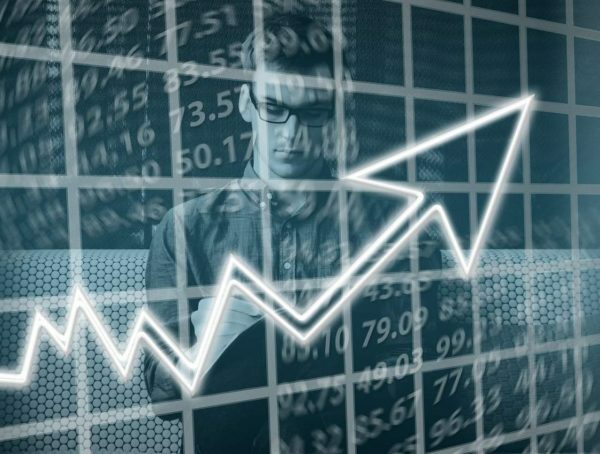 Since a significant fraction of the world’s population is adapting cryptocurrency and a growing number of investors are showing interest in cryptocurrency investment, this list of top influential people in cryptocurrency is worth sharing for. 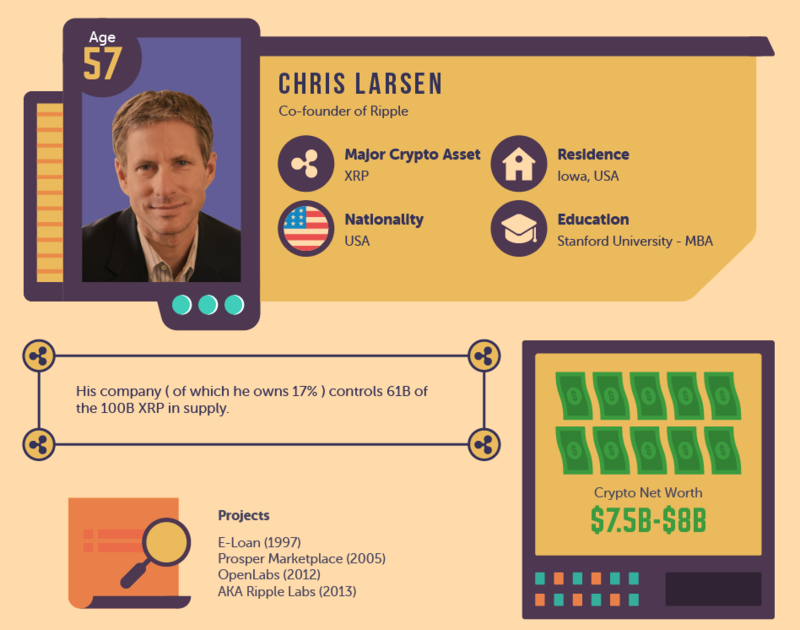 Chris Larsen is a businessperson and angel investor best recognized for co-founding many Silicon Valley technology companies. In the year 2012, he co-founded the company Ripple Labs with Jed McCaleb which created Ripple software that facilitates the instant and direct transfer of money between two parties. His company of which he owns 17% controls 61B of 100B XRP in supply. 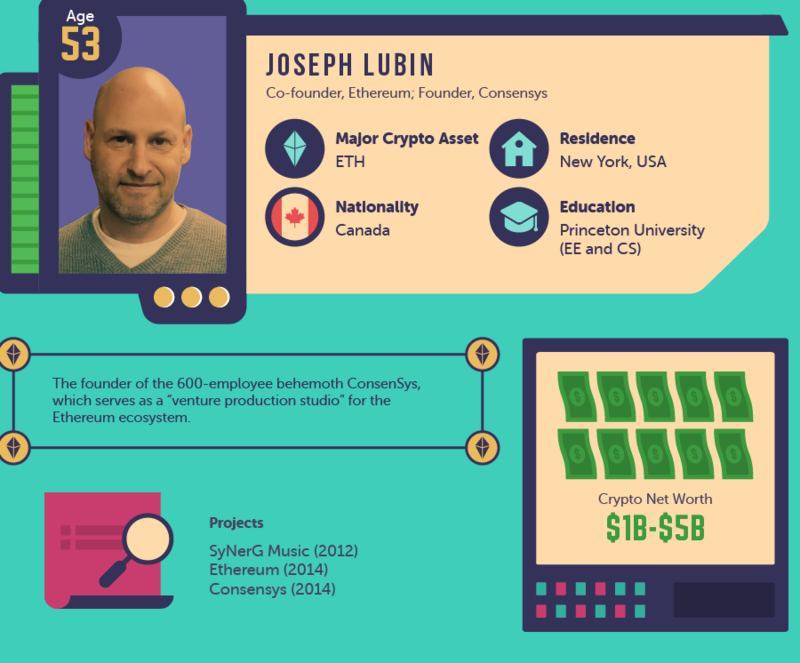 Joseph Lubin is a Canadian businessperson. He has founded and co-founded various companies such as Ethereum, a decentralized cryptocurrency platform, and a software-production studio ConsenSys. As of February 2018, Forbes calculated Lubin’s net worth between one to five billion dollars. 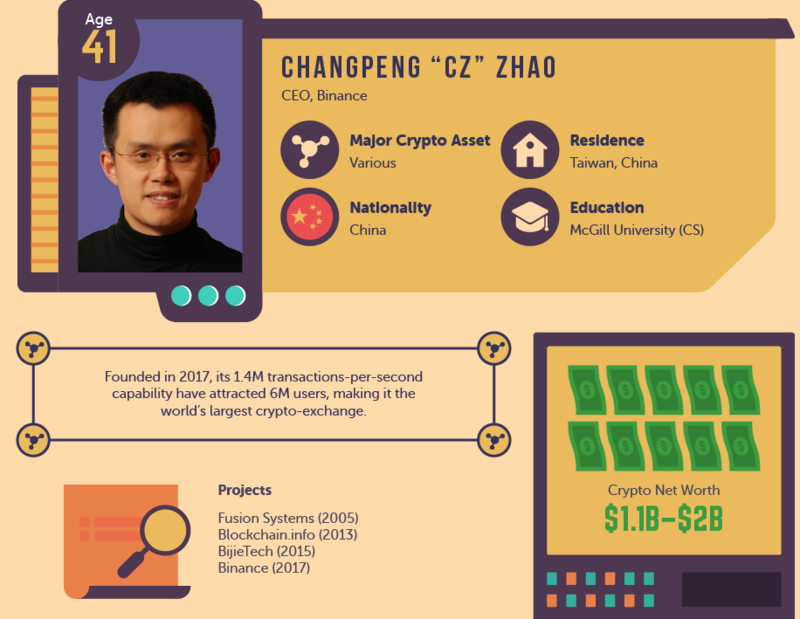 Changpeng Zhao is the founder and CEO of Binance, the world’s biggest cryptocurrency exchange by trading volume. He was earlier a part of the team that formed Blockchain.info and also worked as a chief technology officer of OKCoin. 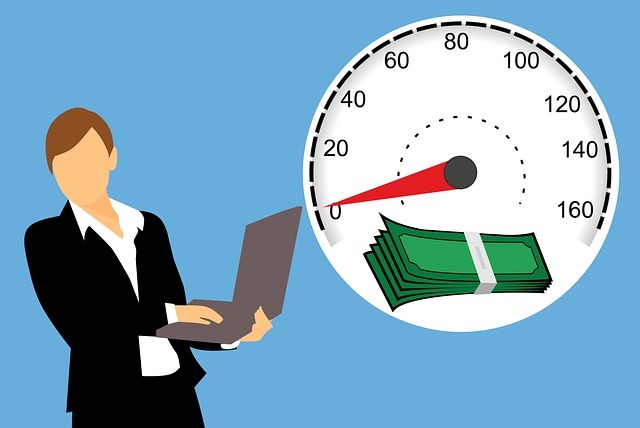 Binance can process 1.4 million transactions per second or more. 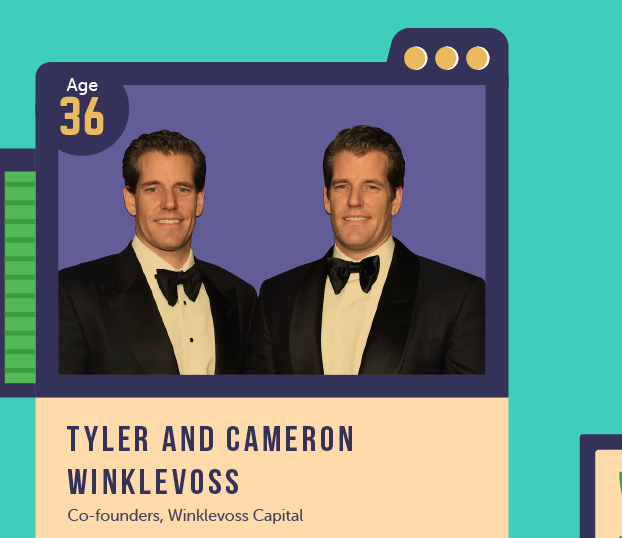 Tyler and Cameron Winklevoss are a pair of American Olympians and businesspeople. 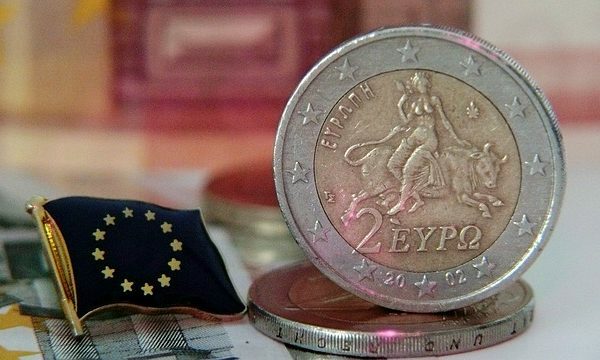 They have now started a seed funding round for bitcoin payment processor BitInstant. In April 2013, they both declared that they had almost 1% of all bitcoin in actuality at the time. They had more than $1 billion Bitcoin holdings. 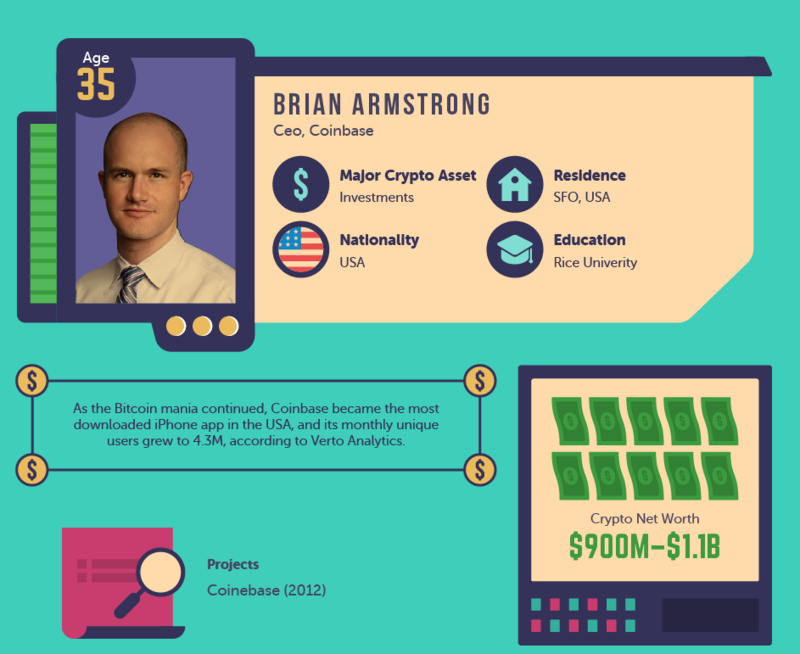 Brian Armstrong is the CEO and Co-founder of Coinbase, the world’s major cryptocurrency exchange. He is known for Coinbase’s retail and institutional units and all commodities and services that are promoted by trading platforms. He co-founded the company in June 2012. In February 2018, Coinbase became the most downloaded iPhone app. 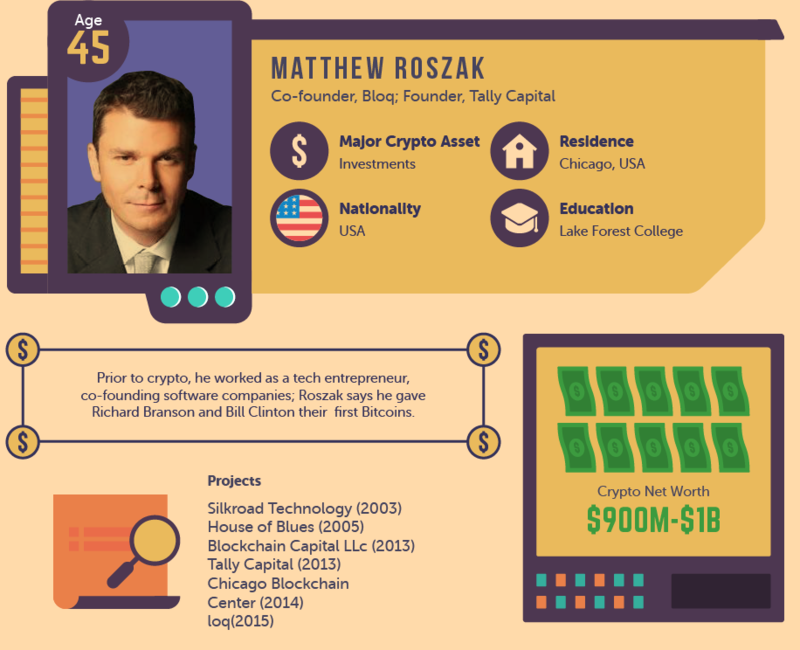 Matthew Roszak is the co-founder and chairman of Bloq, a popular blockchain enterprise software firm. 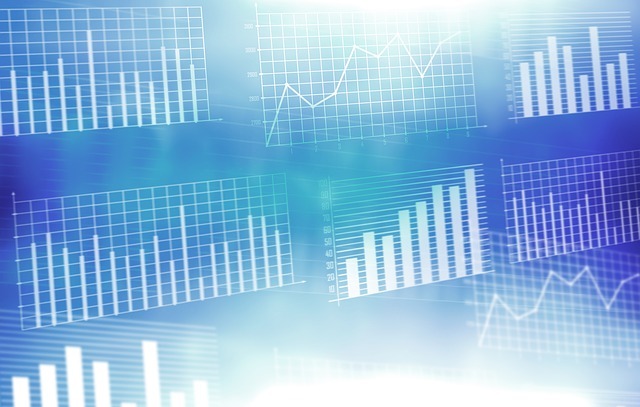 He is also a founding associate of Tally Capital, an investment company concentrated on digital assets and blockchain-based technology with holdings of more than 20 investments such as Blockchain Capital, Block. One, Blockstream, Civic, Factom and QTUM. 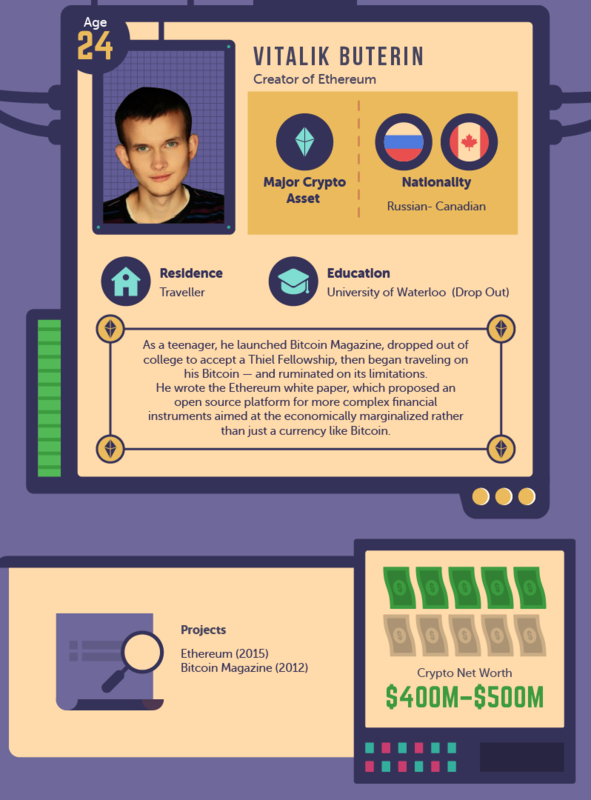 Vitalik Buterin is a Russian-Canadian programmer principally known as a co-founder of Ethereum and as a co-founder of Bitcoin Magazine. 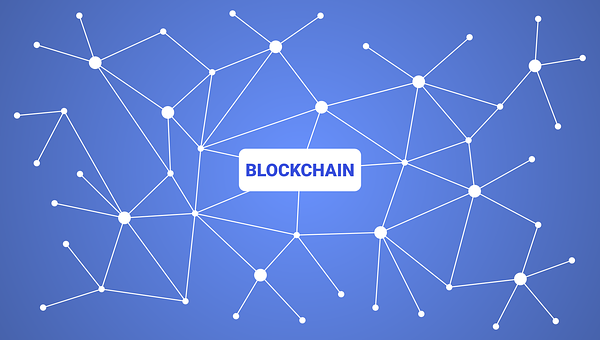 ETH aims to build a next-generation smart contract and decentralized application platform that enables people to build any sort of decentralized application on top of a blockchain that can be perceived. 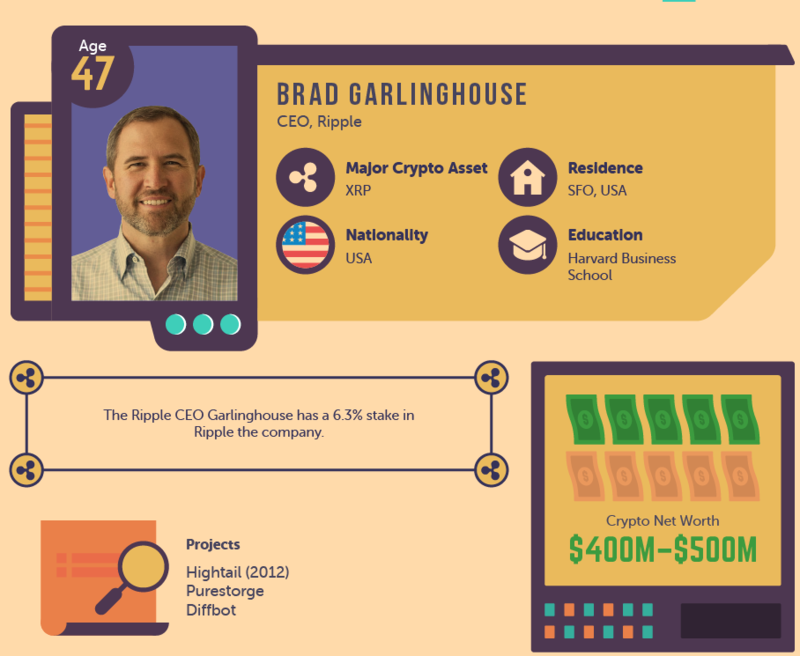 Brad is the CEO of Ripple and is a part of the Board of Directors. Before Ripple, Brad worked as the CEO of file association assistance Hightail. From 2009 to 2012 he was President of Consumer Applications at AOL and before that he held numerous executive positions at Yahoo!. In April 2018, he had 6.3% stake in Ripple. 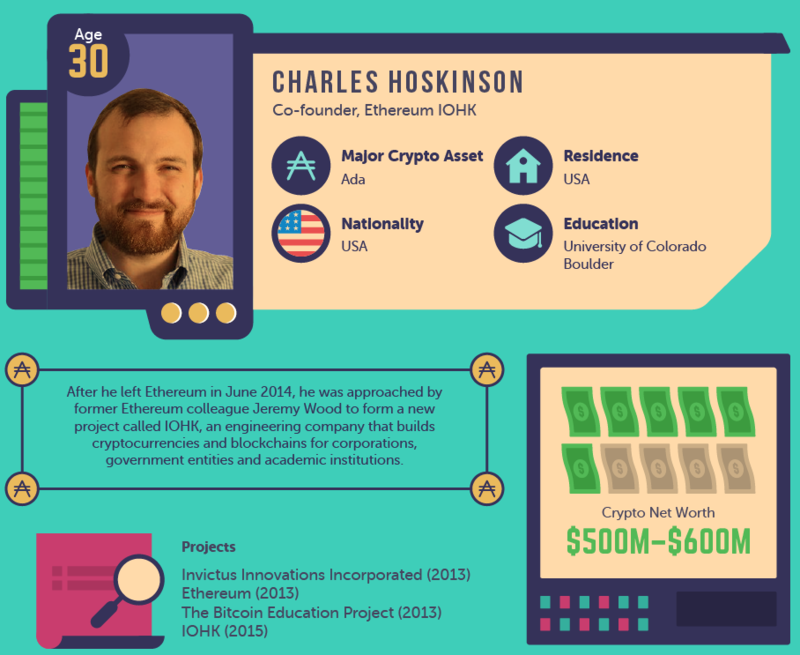 Charles Hoskinson is a technology entrepreneur and mathematician from Colorado. He was involved in establishing three cryptocurrency-based start-ups: Invictus Innovations, Ethereum, and IOHK. Charles has also held various posts in both the public and private areas. He was the founding chairman of the Bitcoin Foundation’s education committee and founded the Cryptocurrency Research Group in 2013. 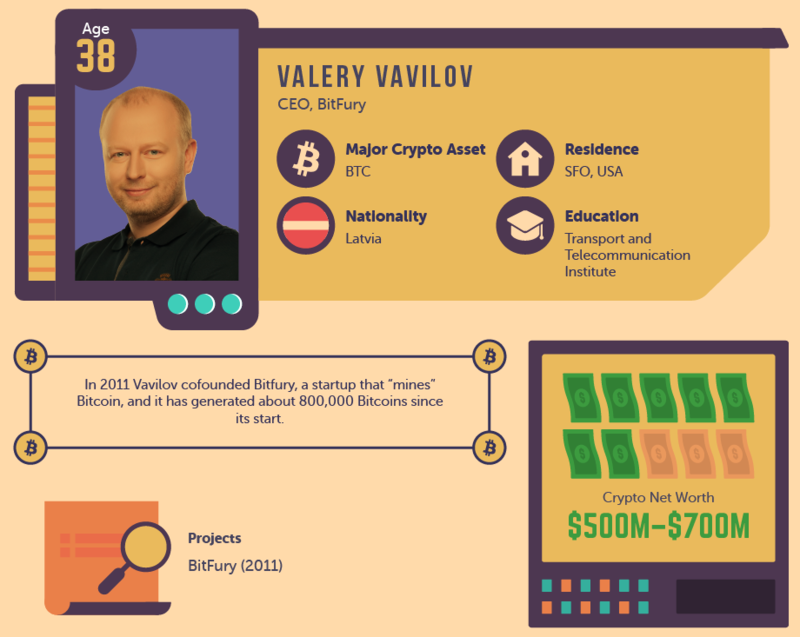 Valery Vavilov is the CEO of Bitfury, the popular full-service blockchain technology firm and one of the biggest private foundation providers in the blockchain world. 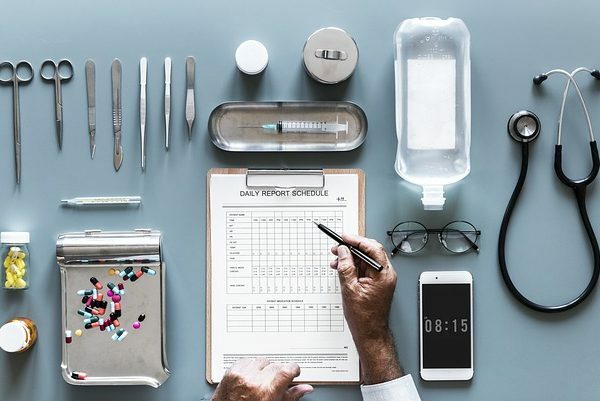 Bitfury produces and delivers both the software and the hardware solutions needed for enterprises, states, regulations, and people to securely migrate an asset across the blockchain. 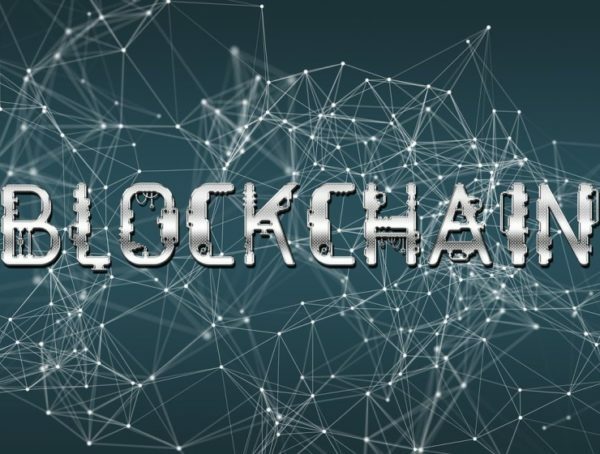 It ensures prosperous, secure, speedy and cost-effective connectivity to the blockchain. 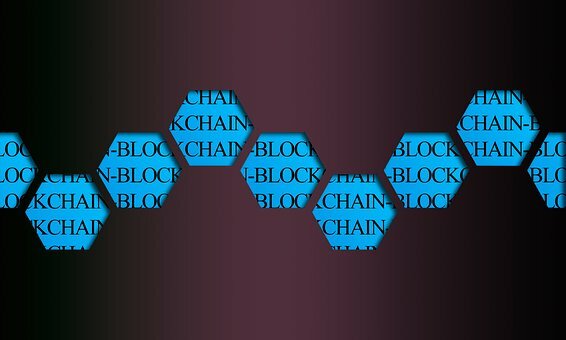 The blockchain field is growing tremendously, holding new ICOs regularly all over the world. 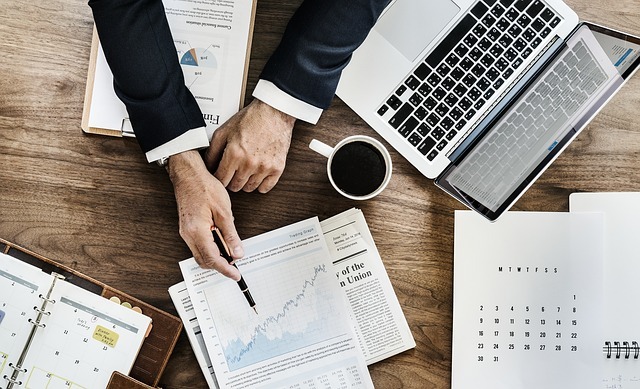 Innovators and companies are regularly proposing new cryptocurrencies, each assuring new and different features to attract investors and users. 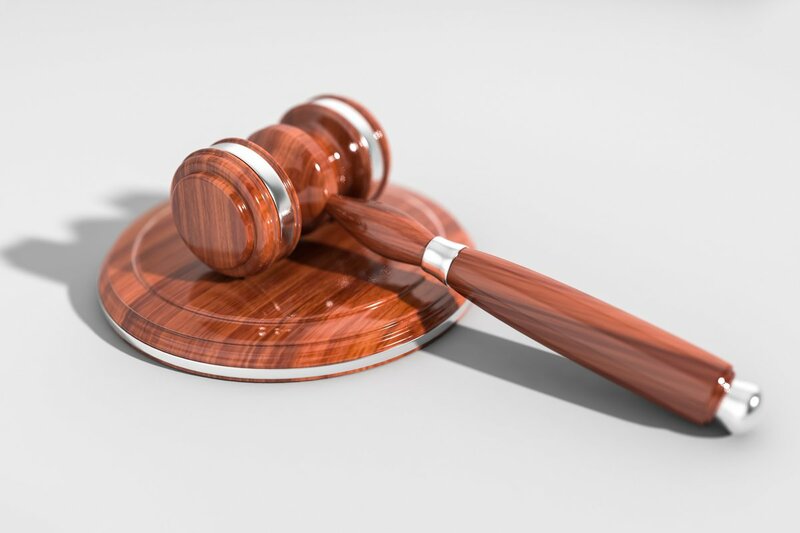 Global official division response to cryptocurrencies alters as the decentralized technology does not meet its definitions and structures. There are many individuals who understand the power of crypto or blockchain and have never quit working on this concept.